Green Juice: The Breakfast Of Champions! Everyone wants to live longer, healthier lives. We want to look good, feel good, think clearly, and be at our very best, no matter what our age. When you look at the number of face creams, magic wrinkle cures, and body contouring products, it’s obvious that everyone would also like to look as young as possible; have supple, beautiful skin, strong, white teeth, bright, clear eyes that sparkle at everyone! Green Juices are loaded with vitamins, minerals, phytochemicals, chlorophyll, and antioxidants. In order to obtain all of the above, we need, among other things, a healthy, natural diet that includes lots of vegetables. Experts say that we should be eating 6 to 8 servings of vegetables each day. Now let's be honest; how many of us actually eat that many vegetables a day? For some people, all that fiber causes a serious problem with their digestive system. There is a way around these problems, however. You can get all the benefits of vegetables, and none of the gassy side effects, by making green juice. Why is Green Juice Good for You? It would probably be easier to list the ways that vegetable juice isn't good for you! You are probably already aware that green vegetables, especially leafy green vegetables, are packed with vitamins, minerals, phytochemicals, chlorophyll, and antioxidants, which not only give the body what it needs, it also helps to support your immune system, so you don't get diseases you don’t want! Drinking freshly squeezed vegetable juices are a super healing and detox program because they are naturally nutrient rich and offer the body what it craves at a cellular level. If you speak to anyone who drinks green juice or if you read testimonials online, one theme you will find in every comment is how much more energy people have. 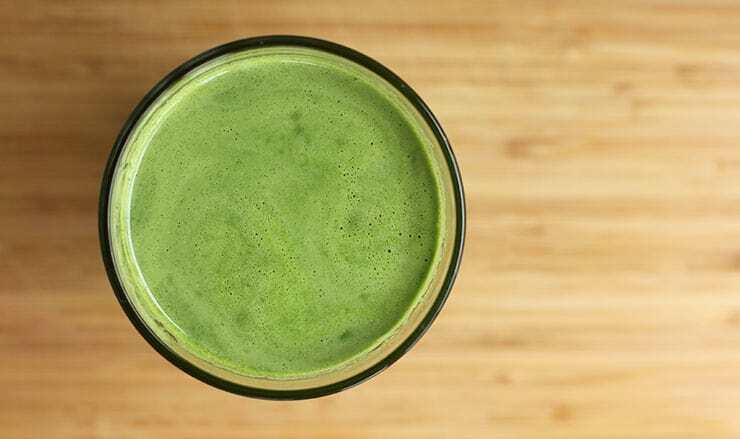 This is because the body can absorb green juice immediately, thereby giving every cell in the body what it needs right away, without waiting for the stomach to make hydrochloric acid and begin the digestion process. Drinking green juice in the morning is something like drinking a glass of Mother Nature's own version of Red Bull! This also gives our overworked digestive systems a nice little break. Without all the fiber to for your stomach to break down and then extract nutrients from, not only does the stomach get a mini vacation, but your cells get all the benefits of vegetables with none of the work! 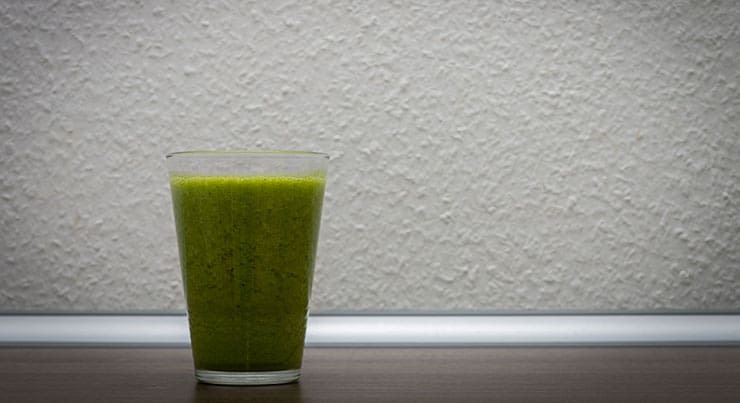 What is the Difference Between Juicing and Blending (smoothies)? In a nutshell, juicing removes only the liquid part of the plant and leaves behind the fiber or pulp. The liquid is very thin, but highly concentrated. You cannot do this with an ordinary blender. You will need to invest in a juicer. Blending, often referred to as smoothies, uses the entire fruit or vegetable (minus the peel in some cases, such as for bananas). This leaves the fiber, pulp, and seeds in the liquid. The final result is thick and creamy. Almost any household blender will work well for this purpose. Juicing leaves behind the fiber, but gives you all of the nutritional benefits. Since it is concentrated, you drink less than you would with a smoothie. This also means fewer calories and very little natural sugar. For diabetics or those who have a problem digesting fiber, juicing is the perfect answer. Blending is generally made with more fruit than vegetables, so it has a higher calorie and sugar content. However, smoothies also help you to feel full due to their high fiber content. Both processes will help to increase your fruit and vegetable intake, which is always a good thing, however, only juicing will give you that concentrated form of nutrition that you would have to eat pounds of vegetables to get otherwise! No, don't get us wrong, fiber is still an important part of our diet; however, most people find that too much fiber gives them digestive problems. The easiest way to get in the 6-8 servings of vegetables your body needs, but that your stomach can't handle, is to juice them! Imagine eating 8 whole leaves of kale, two large apples, 6 stalks of celery, a large cucumber, a cup of spinach and 1 entire lemon every day? Yet, you can put all those items into your juicer and drink it down in 15 or 20 minutes! Chances are that you will still eat fiber during the day in the shape of whole fruit, vegetables, beans and salads, but what a wonderful feeling to know that you have given your body all the nutrition it needs without all the bulk! If you should feel you need more fiber, you can always enjoy some Chia pudding or add Chia seeds to a salad or casserole. You can also have some psyllium husks before bed with a glass of water, but chances are that you will find this unnecessary. As we mentioned before, your blender, no matter how good it is, simply won't do the job that a juicer does. Investing in a good quality juicer is a great investment in your health. When looking for juicers, you should note that there are two different kinds, centrifugal and masticating. Centrifugal juicers use rapidly spinning blades to shred the vegetable, and then strain those small pieces through a very fine strainer. Although they don't extract as much juice as masticating juicers, they also tend to be less expensive. Masticating juicers, also called cold press or low speed juicers, do pretty much what the name implies; they chew up the vegetable and then spit out the juice. These cost more, however, the juice doesn't tend to oxidize as much, so it tends to last longer. If you plan on mixing juice for the morning and afternoon, this should be your choice. A great affordable juicer. This inexpensive beauty is very compact and easy to wash. It’s dishwasher safe, which is a big time saver. Designed for the beginner, this juicer is still fast and sleek looking. You won’t be disappointed! There's no comparison to any other juicer in this price range! This juicer is ideal for busy people who wants their morning juice quickly, but still want quality. This juicer has a powerful 850 watt, 2 speed motor that can take on the hardest apple. It’s also dishwasher safe, which means less clean up time for you. Consider this amazing appliance a terrific buy for the money! This is Amazon’s #1 best-selling masticating juicer for good reason. Perfect for the large family or the frequent user, this juicer is both easy to use and clean. If you are an advanced juicer who wants consistent high-quality juice that has more live nutrients, this is the juicer for you! Yes, it’s a bit pricey, but consider this an inexpensive investment when it comes to your health. Dubbed "the Rolls Royce of Juicers" due to its steep price, this juicer has it all! If you enjoy top of the line products, this one will not disappoint! The Super Angel specializes in easily handling leafy greens and root vegetables, like carrots and beetroots. 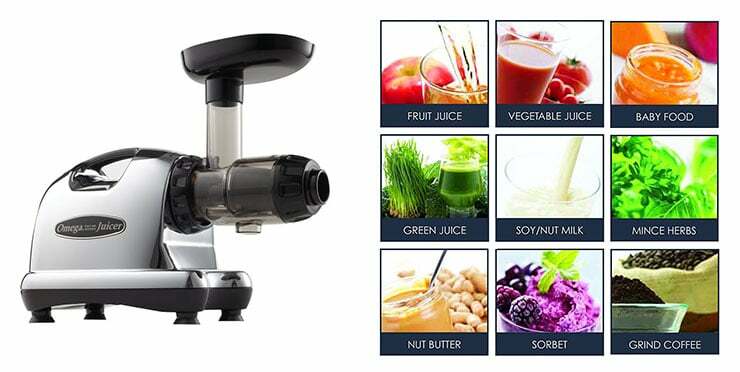 You will get high quality juices due to its high speed 86RPM twin gears. Super easy clean up means more time juicing and less time washing! This juicer keeps stains to a bare minimum, unlike many others on the market today. If you are a serious juicer who demands the best, this is an investment that you will be proud to use every single day. Greens: spinach, watercress, dandelion, broccoli, chard, lettuce of all kinds, mustard greens, beet greens, sorrel, and kale. Remember to use organic ingredients whenever possible. No one wants to drink a glass of pesticide residue! Mix together items that you think would taste good together. Only peel items that have bitter tasting peels, such as lemons and oranges. Of course, you can juice the entire thing, but the bitterness of the pith is something that takes getting used to. Recipe: Even if the produce is organic, wash it well and push each piece through your juicer. If it’s too large or too long, you can cut it in half so that it fits. . If you like your juice cold, you can always add a few ice cubes. Be sure to drink it right away, as the nutrients will begin to break down once it is exposed to the air. Optional: Add coconut milk (100ml) and a scoop of powdered greens. Pure green juice drinkers will tell you not to add fruit to your juice, but in the beginning, you will find that you drink more of it if you add some fruit for sweetness. If you go all out green and omit the fruit, you can add a touch a Stevia to help you become accustomed to the taste. Drinking green juice on an empty stomach is best. This allows the body to absorb the nutrients right away. Wait at least 20 minutes after drinking your juice before you eat or wait two hours after eating before you have your juice. Drink your juice right away. Just 15 to 20 minutes later, air and light will destroy many of the nutrients you are drinking it for. If you want to make a double batch and drink some later, pour it into an airtight container and refrigerate it if at all possible. Juice kept in an airtight container will keep in the fridge for about 48 hours. "Chew" your juice. Although there isn't really anything to "chew", let the juice sit in your mouth for a moment and imagine you are chewing it. This will release enzymes in your saliva that will deliver those nutrients to your cells. This should go without saying, but we want to say it anyway: CLEAN YOUR JUICER IMMEDIATELY. Rinse it with hot water and scrub the screen with a brush. 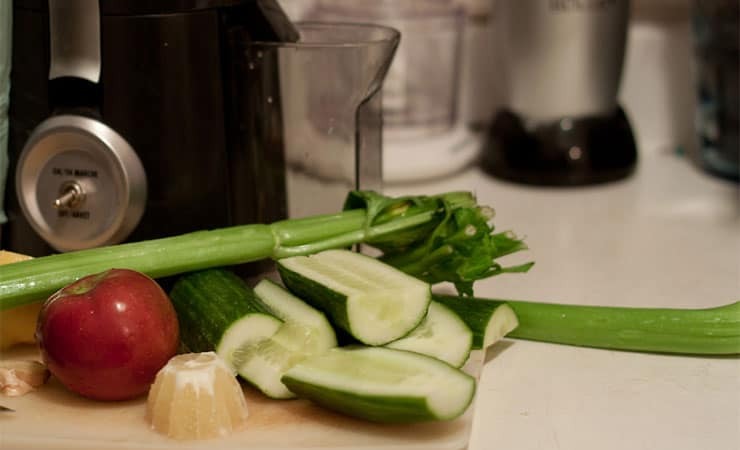 Little pieces of vegetables get stuck like super glue if left on even for just a few hours, growing bacteria and making your juicer a little hotbed of bacteria buddies. Clean your juicer well and clean it often! Drinking green juice each and every morning is one of the best ways you can protect your health and maintain a healthy body, as well as immune system. There is no better breakfast at any price! Why, you might want to call it the green breakfast of champions!